Facebook is the best way to kill you time on the internet. Individuals use it not just from a computer, however from mobile gadgets throughout the day. However have you ever thought of just how much time you really invest daily, each week or monthly on this popular social networking website? A free Windows application called TimeRabbit can assist you learn just how much time you truly invest or waste on Facebook on everyday basis. 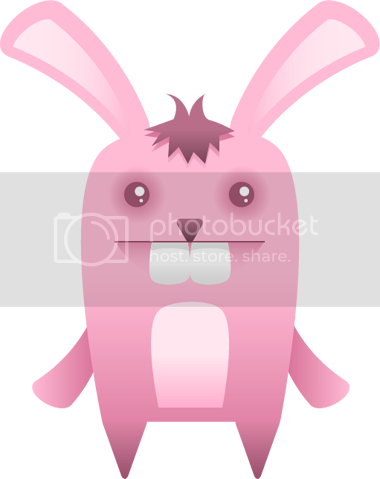 Unlike other widely available time monitoring programs, TimeRabbit is a stand-alone application. It does not work as a browser plugin as that would confine it to work only with one particular web browser. Instead, it is able to monitor active web sites across all major web browsers like Internet Explorer, Mozilla Firefox and Google Chrome. 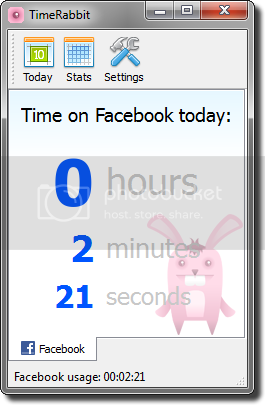 When you navigate to Facebook in any browser on your computer, TimeRabbit will start the timer and will start counting seconds. The timer will stop after 5 seconds from the moment you navigate out of Facebook or when your browser loses focus. It will also detect if you're idle and after 30 seconds of no mouse or keyboard activity detected, the counter will be stopped.